It was a wonderful surprise to unwrap my personal hardcopy of this new Ashgate title which arrived in the post today, of which I am the proud author of chapter 6. Ashgate’s poster for the book is attached, and the publisher’s descriptive summary of the book’s contents are reproduced below (note my underlining). For 50% discount on orders via Ashgate use code 50BDF14N. 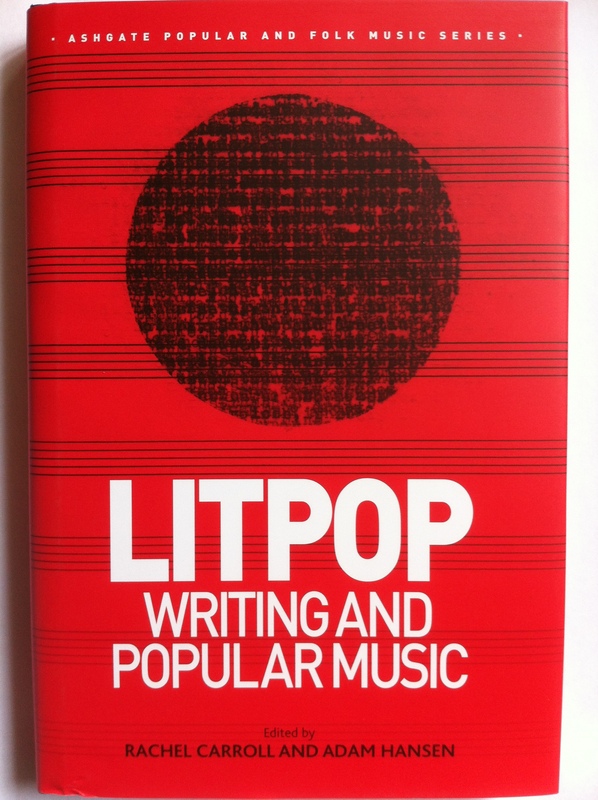 “Bringing together exciting new interdisciplinary work from emerging and established scholars in the UK and beyond, Litpop addresses the question: how has writing past and present been influenced by popular music, and vice versa? Contributions explore how various forms of writing have had a crucial role to play in making popular music what it is, and how popular music informs ‘literary’ writing in diverse ways. The collection features musicologists, literary critics, experts in cultural studies, and creative writers. “(D)espite its ephemeral nature and what some might perceive as its heightened subservience to the music industry, and regardless of those who would criticize its present day format, rock and pop music criticism within quality newspapers represents a vast and significant body of writing, with its own unique history and language, which continues to play a vital role in maintaining such music within the public consciousness”. An extract from my chapter in Litpop: Writing and popular music (Ashgate, 2013).